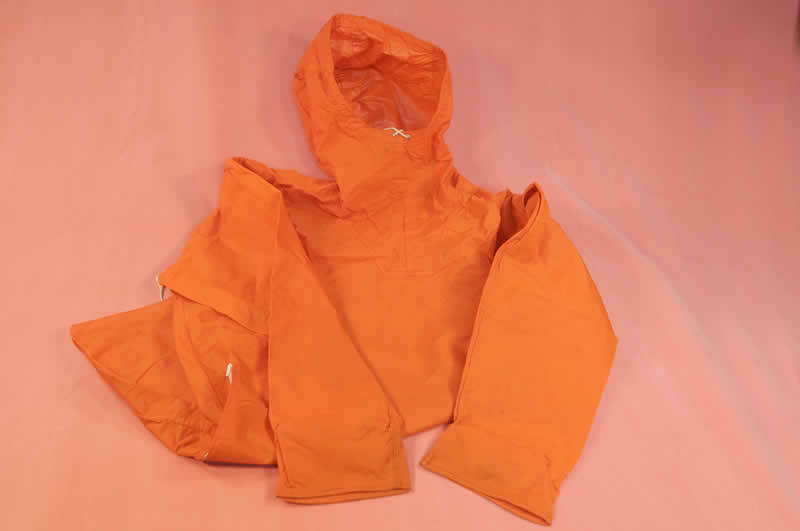 Cagoule, [rubberised nylon], with hood and drawstring fastening, two zipped side openings, drawstring around bottom of garment, sewn on white nylon label inside at collar, orange text "Quality product by Weatherwise", inked on in biro "M", orange. Irene Addie was a member of the Ladies Scottish Climbing Club and a life-time member of the Girl Guides Association for whom she ran ski courses. Miss Addie also worked as Secretary to the Association of Scottish Climbing Clubs and was one of the first ski-patrollers.